Sadie J! - Home Sadie J Fan Website! Welcome to the Sadie J website! This is Sadie J's website, where we celebrate the hit TV series. The series has been nominated for a children's BAFTA for "Best Comedy", and the stars, Georgia Lock, Priyanka Patel and Ronan Carter always have fun on the set, and have a whale of a time in the program as well. 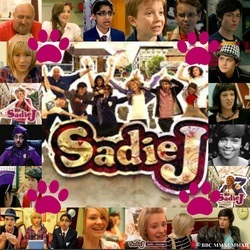 LATEST NEWS- NEW SADIE J COMING OUT 23RD JANUARY CAN'T WAIT GOING TO BE AMAZING!!!!!!!! !